I was invited by my kapatid Jerille few days before August ends. 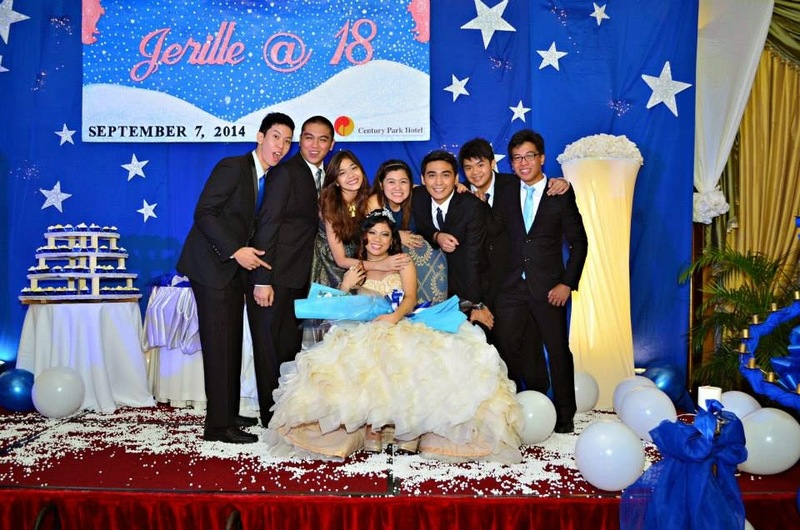 She was about to turned 19th on Sept. 8 so she planned to have her 18th birthday debut celebration the night before her birthday. Cool and extraordinary isn't it? 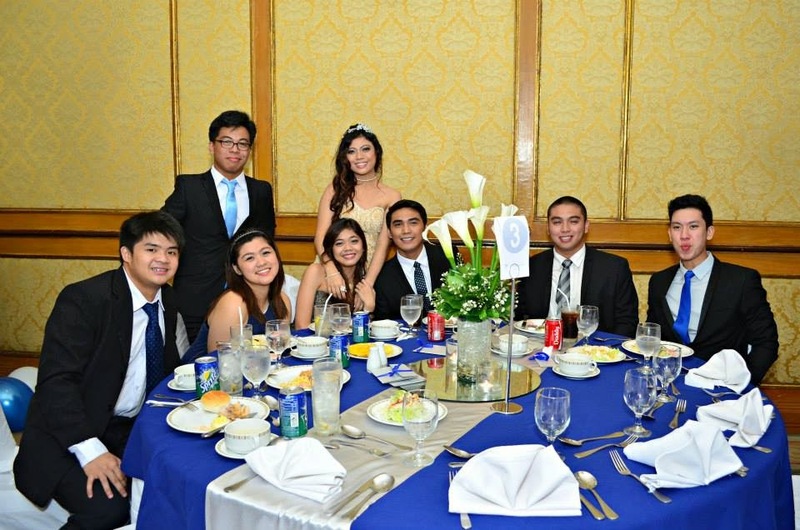 The debut happened in Century Park Hotel and was themed Winter Starry Wonderland Night. The party started at 7 pm and I was so happy to see few of my HS friends, even most of my really close friends doesn't make it. I was really part of 18 Fashion. All of us doesn't have any idea on what will happen or what are we going to do on that part of her 18th. 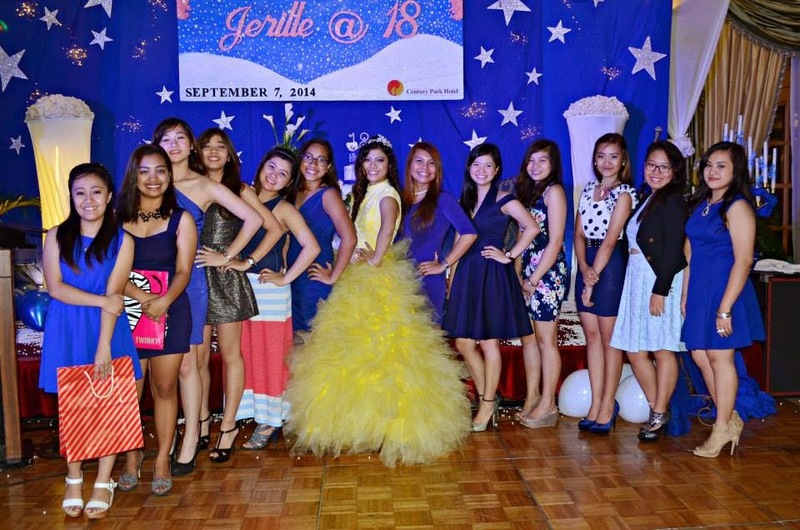 But then when our names are called, we will just walk and pose as if we are a runway model. I was really shy because look how fat I got. 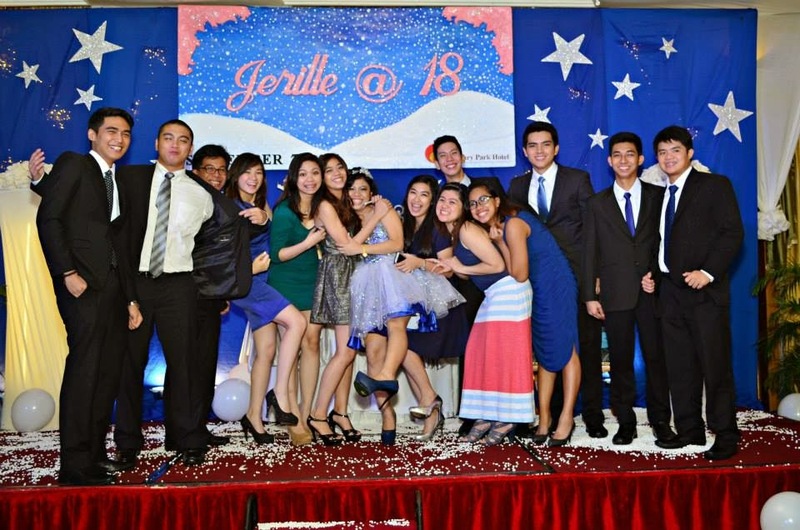 So here is our pose as the 18 Fashion with the debutant. 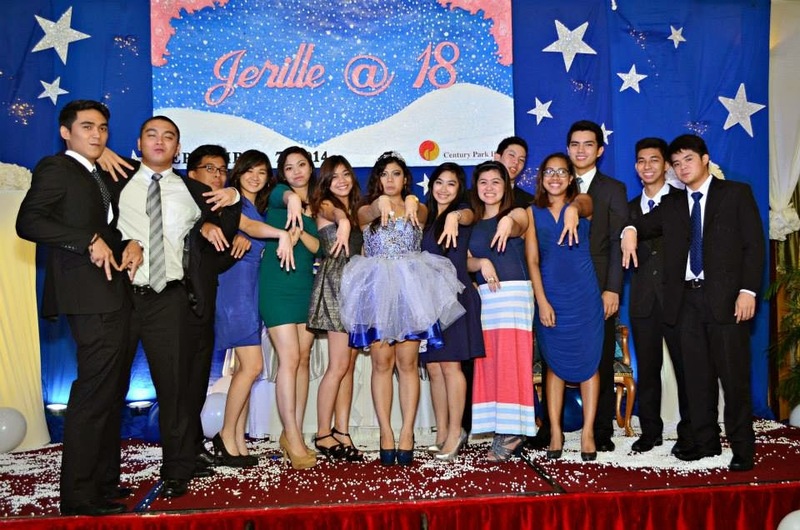 I was not really a part of the 18 wine but then most of our classmates weren't able to come as what I've said, Jerille called me to be a partner of Adam on this part. So the partners have to play Jack en Poy to know who will answer the question about Jerille, if the one who have to answer, answered it correctly the other one will drink, and if not he/she will the one to drink the wine. Still, few of our friends arrived late but still able to make it. And we are all happy about it. The more the merrier. 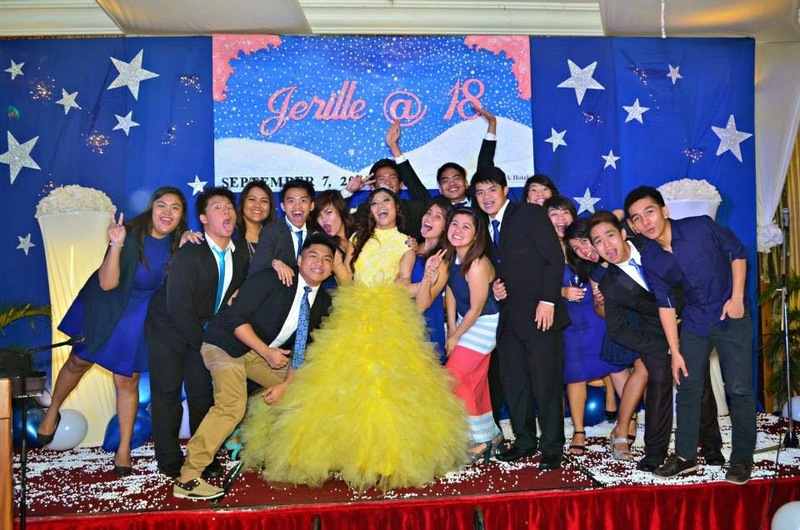 This is our Mercyless and Wacky pose, we love to remember our HS days. We even talked about it during the party. If only we can turn back time. People you meet in high school are the most awesome and cool ones. 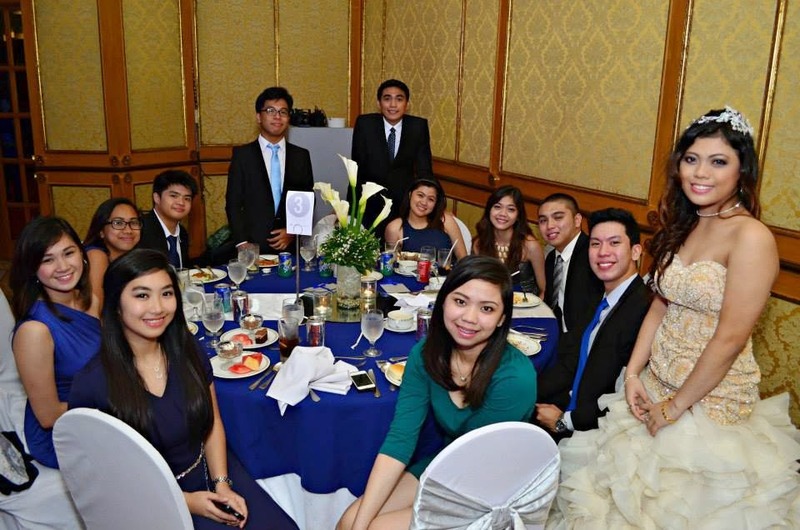 Hope to bond with my closest HS friends tho.